The challenge this time was challenging. I had to search my files to come up with these. For more Photo's visit Brenda's Photo Challenge. 1. I need a chocolate fix. 2. I need to take something somewhere with absolutely no time to go to the store. 3. I need to take something somewhere and absolutely don't want to go to the store. 4. Unexpected company is on the way. 1. It looks so good people will think I bought it at a candy store, so why would I want to go to the store. 2. It looks so good people will think if I made it I must have slaved all day, so why would I want to slave all day. Turn oven on. Lay Rolo's in a single layer on a cookie sheet covered in wax paper. Set cookie sheet in warm oven for a few seconds. Take cookie sheet from oven when Rolos are soft and glossy. Lay a pretzel on top of Rolo and press down. Press pecan half or pieces into the top (I didn't have any). Place cookie sheet in refrigerator until candy is hard. Place on plate to take to event or leave in fridge and eat one every time you pass by. These are great inexpensive treats to make with the kids or grandkids. I have three grandkids staying with me this weekend. They came yesterday and will stay until Monday. This is the last week for them to get to stay before school starts back. It is "Moon Daisy's" turn, so when the boys are picked up on Monday she will stay until the following Saturday. We went to the Movie Tavern last night and saw the last Harry Potter, ate pizza, cheeseburgers, chicken tenders and lots and lots and lots of popcorn. If you've never been to the Movie Tavern it is a fun place to go with the kiddos. You have a little red button to push anytime you need to order or get a refill. The waiter or waitress comes right to your seat. I love it. Moon Daisy at 12 is pretty content laying on the couch talking on her cell phone, but the boys are wanting to go outside and shoot birds with the bb guns. That means I will have to poke my head out in this 100 plus temperature which I am dreading. I have so far held them off by saying, "Why don't we wait on Paw-Paw he loves to shoot BB guns." The natives are getting restless. I don't know how long that little trick is going to work. I have put the order in for "Paw Paw" to bring the munchies when he comes home from work. I have a feeling this is going to be a weekend of movies, munchies and munchkins. Isn't it amazing how kids love to do things they will probably hate in a few short years? Tall Feathers loves to wash dishes. He does a pretty good job of it and if he continues he will be a great catch for somebody down the road. Here's a little midnight snack I love. Popcorn with Hot Tamales. Sometimes I add some Reese's Pieces or Milk Duds. And here's a little secret... I nearly always sneak a box of Tamales into the theatre. I love to get a piece of salty popcorn mixed with warm melty sweetness. 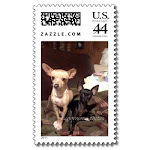 I am relatively new at the game of blogging, so I don't participate as much I suppose I should. Mainly because I am not very computer literate, but I will try. Thanks to McGuffy Ann at McGuffy's Reader for thinking of me. 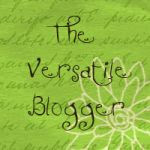 She has a great blog, so stop by and check it out. It has been above 100 degrees for sometime now, so yes. I am "hot". 2. Upload a picture or wallpaper that you are using at the moment. 4. What was the last song you listened to. A great fiddle tune called "Sally Goodin'." Kye- My baby sister gave it to me when she was two and couldn't say my name. It stuck. I will have to think about the eight bloggers for a bit. We passed a roadside fruit and vegetable stand today and absolutely could not resist. The cutest, friendliest little boy and girl were selling their produce in the brutal Texas heat. We came straight home and made sandwiches with cantaloupe and tomatoes on the side. 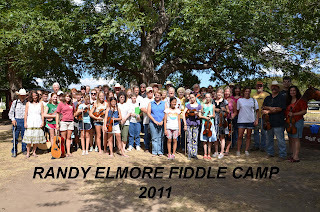 I just returned from an awesome time at the "Randy Elmore Fiddle Camp." There is something about spending a week immersed in the music I love that makes my summer. It wouldn't be complete without it. As you can see it isn't just "old folks" who love to fiddle. Master musicians teach all day. They break long enough to rest, eat lunch and get back to class. At 5pm it's time for supper. After supper the all night jams begin. In rooms, in buildings, under trees, in small groups, in large groups-take your pick. There is music for everyone. Music is everywhere and anywhere you look. Before sun-up the musicians lay down, catch a few winks and it's time to get up, get ready and get back to class. It is an awesome experience, one I look forward to every year and as tired as everyone is at the end of the week no one is ready for it to end. takes place in pre-civil rights Mississippi during the early 1960's. A twenty-two-year-old writer and three maids embark on a risky project that could potentially put them and their families in danger. I enjoyed this book from start to finish. The characters were believable and endearing. There was plenty of humor mixed with sadness and nail biting suspense. I give this book five stars. I didn't want it to end. If you haven't read it yet be sure you put it at the top of your reading list. The movie is due to come out soon. Hope you enjoy it as much as I did. tells the story of Connie, a Harvard Graduate student who is preparing to put her deceased grandmother’s house on the market. In the process she finds a key and a note inside an old Bible. The note has a women's name on it, thus begins the mystery. The book shifts between 1991 Marblehead, Massachusetts and late 17th century Salem. I enjoyed the plot of this book, but the writing was weak. To tell you some of the things I didn't like about it would spoil it, so I will just say that it was predictable and contrived at times, but also very entertaining. I give it four stars for being a nice, easy, entertaining read. In spite of it's many flaws I couldn't put it down. I received a text along with this photo on July 4 from my youngest daughter that said, "I made (delicious) homemade lemonade!!! Thought I would share her recipe. She said it's "rreaaalllyyy good. Not too sweet, not too tart." She texted this picture later from her 4th of July get-together. Saw some great fireworks tonight in Commanche, Texas and the weather actually cooperated. It was hot, but low humidity and breezy. It was very nice. The hotdogs were good and the watermelon was awesome. I love watermelon and this was deep red, ice cold, Black Diamond. I should have taken a picture. Thanks to McGuffy Ann of "McGuffy's Reader"!!! 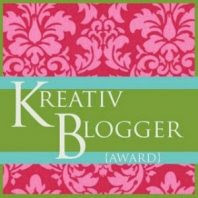 She has a really great blog be sure to stop by and check it out!!! 1. I consider myself a " free spirit". 2. My favorite food is "Texas made" Bar-B-Que. 3. I never untie my shoes. 4. I love to read mysteries and romantic suspense. 5. I don't care for romantic comedies. 6. Christmas is my favorite holiday. 7. I love snail mail. 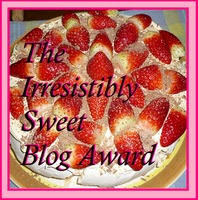 I am back from a "series of unfortunate events" that have kept me from my computer and put me behind on my blogging. Thanks to Donna from Made in Heaven for checking on me. I am fine and glad to be home. Nothing has changed since I left. It is still blazing hot in Texas with staying cool being the name of the game. I have been entertaining grandkids as part of their summer vacation and that means lots and lots of movies. This past week has been "Brown Hawk's" turn. We have had a "Harry Potter" marathon that is still going on even as I type. Grandkids are wonderful and I do so enjoy their visits, but it does limit some of the things I normally do, like sit with my computer and blog, so it may be after school starts before I get back completely. I still have two more waiting their turns. I have read several books lately and will try to review them soon. The last one I read was especially good. I think you will enjoy it. I want reveal the name until I review it. Time to get back to Brown Hawk and our marathon. Have a great July 4!!! !